Just because some shower curtain liners are clear, doesn’t mean they’re all the same. And even though they appear simple enough, there are differences. Let’s take a look! Click on any image for more info or to buy. Materials – What it’s made of? Weights & Measures – How heavy is it and what size do you need? Water Resistance – Do you need Water proof or will Water Repellent do the trick? 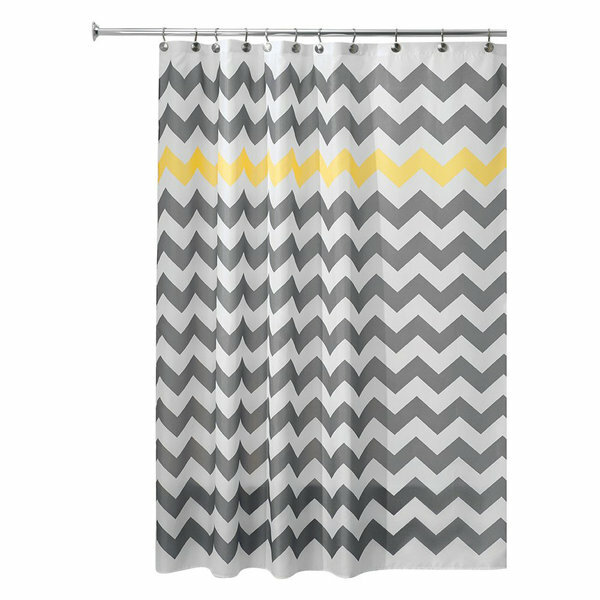 Appearance – Will you have a shower curtain with it or use it alone? Accessories and Conveniences – Do You Need Grommets or Magnets? A word about “Vinyl”: A broad term used to describe many different materials. There is polyvinyl chloride (PVC), polyethylene (PE), polyethylene-vinyl acetate (PEVA), and polyvinyl acetate (PVAc). Liners made from PVC contain a mix of chlorine, BPAs, Phthalates and other chemicals potentially harmful to people AND our environment. To learn more, see Environmental Impact. Shower liners without these chemicals are made of either PE or PEVA and fortunately have dominated the market in recent years. Water Repellent vs Water Proof? Vinyl liners are all water proof. Water runs off their surface into the tub. They do not leak. Fabric shower liners are water repellent and if they become soaked or have repeated washings will leak water. This is the reason they are not optimal with curved shower rods. The curve of the rod creates a ledge where the liner tends to rest and water puddles. If you use a fabric liner with a curved rod, have plenty of towels handy to clean up the floor. Little-known fact: bathtubs are shallower than they used to be - who knew? But the length of shower liners has not kept up with this change. Have you ever noticed your shower liner bunching up on the bottom of the tub? It’s because liners have been a standard 72” long since the dawn of time. So now, the liner bunches up, collects water in its folds and voila - MILDEW GROWS! But here's one that has kept up! No matter how you weight it, the thickness, or gauge of the liner, can affect your showering experience. Fabric liners are of course soft and drape easily but they tend to ‘blow’ into the shower while the water is running and stick to your wet skin. Yuck. Vinyl, on the other hand can be thick enough to stay in place (depending on the gauge) but it’s also less flexible. A thick liner is not likely to cling to your skin even without magnets at the bottom. 3 Lightweight Shower Liner Thin, flexible, very easy to use. 8 Heavyweight Shower Liner Very durable and designed for heavy use. 10 Heavy Duty Shower Liner Tough, withstands commercial use. You can use your liner alone or with a decorative curtain. The liner always stays inside the tub and if you use a separate curtain hangs outside and adds to the bathroom décor. If it is used alone there are plenty of attractive designs to temper the typical clear or plain white liner. You’ll decide if you want grommets on the top and magnets on the bottom. Grommets make it easier to put curtain rod hooks in and prevent tearing over time. Magnets are an absolute necessity for fabric and lower-gauge vinyl liners. It’s the only way to keep the darn liner from blowing in and leaching onto your wet skin. The magnets keep the liner against the tub instead of sticking to you. This is solved with either a curved rod or a heavier gauge liner. The problem with magnets is that when the shower is finished it traps water against the tub and in the folds and prolongs drying. Thank you so much for posting this! This thoroughly answered all of the fundamental questions I had while picking out new decor for my bathroom.